Get a Reading Session with Psychic Reader and Healer now! Hey there! I’m Andrew. 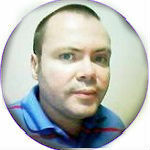 I am a 3rd generation psychic reader and I focus on relationships, marriage, career and finances. I answer specific questions and I also do general readings. I use the primal energies of rune stones to power my readings. What is my partner thinking now + why have they been distant? What are they hiding from me and their own heart? Who are they seeing behind my back? What actions will my partner take in the coming weeks/months? Does my partner/lover really love me from their heart? Why have they changed so quickly and been so cold with me? Will my relationship last or should I end it now? I believe that 2015 is a powerful year, and there is no need to hide what hurts. This year can be a transformational year for many people, only if they ask the questions in their minds and hearts without fear, and understand what lies ahead. Details matter, so you should ask me all your questions, and let me help you see all areas of your life clearly. I am compassionate but very direct and honest. With my gifts, you can see what the future holds. Please read the reviews my clients wrote for me, so you can see what I mean. Thank you for reading my profile. 16 YEARS A SOUGHT AFTER PSYCHIC ALL AROUND THE WORLD. UNIQUE HEALER FOR LOVE AND LIFE. My experience happens to enriches me with even more and more experience daily on kasamba and love to use my experience to show my clients like you what will happen in Your relationship, Career, Marriage with Wisdom and Honesty. Im residing right now in Asia as this is were Im really connected Spiritually and at peace and balanced with my gift. God Bless You All and Hope To Work with You Later. Andrew, your insights were the best that happened to me. I was pretty confused about my career change and I really wanted to move into this new position but after I explained in my current job my situation, they decided to offer me a new position with better benefits. Patience and hard work are paying off, thanks dear !